Who needs Android with the Chinese government on your side? 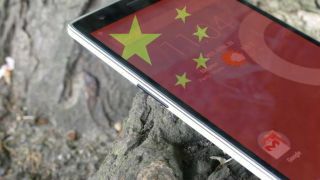 The Chinese government is working with the Chinese Academy of Engineering on its own operating system, intended as an eventual replacement for things like Windows and Android. The China OS platform may be available for desktop machines as soon as October, and plans are already afoot to bring the system to mobile devices later down the line. You may not have heard of this bizarre-sounding project yet, but it was first announced all the way back in January 2014. Why does China want to replace systems that have been in development for years, or in Windows's case, decades? It's all about security. China is extremely concerned, with a side order of paranoia, about US surveillance. The country has already banned the use of Windows 8 on its government computers, although the official line on this decision is that Microsoft's ending of support for Windows XP is the cause, rather than security concerns. It is believed, or at least predicted, that China OS desktops will start replacing Windows ones within a couple of years, and mobile ones in 3-5 years. At present, China has a very Android-centric mobile market. We're also starting to see Chinese phone makers start to make their way closer to western markets like ours too, with companies like OnePlus, Oppo and Xiaomi raising eyebrows with phones like the OnePlus One and Xiaomi Mi 3. Would an adoption of the China OS block this kind of progress? Probably. With no suggestion that the system would support Android apps, and China having a whole different roster of social networks and search engines most of us have never heard of, you probably don't need to think about trading-in your Galaxy S5. Also, as China tends to have a pretty prescriptive approach to the internet, there's a chance it might have root-level blocking of certain parts of the internet. And who wants that?